The SideStream PLUS Reusable Nebulizer features an easy action vertical inspiratory valve that requires significantly less pressure to open, compared to other breath-enhanced nebulizers, making it ideal for weak breathers such as pediatric and elderly patients. In addition there's no need to remove the valve when using a mask, making treatments even easier for children and adults. With its proven SideStream five jet venturi design, SideStream PLUS provides a high respirable fraction and shortens treatment times. The modern handle design and angled mouthpiece also provide more comfortable treatment overall. COMPATIBILITY: This nebulizer is compatible with all standard nebulizer compressor systems including those from Philips Respironics, Pari Medical, Devilbiss Healthcare, and others. 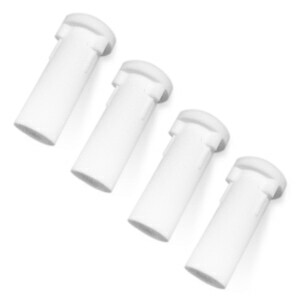 USAGE: For best results SideStream Plus Reusable Nebulizers should cleaned after each use and replaced every 6 months. For complete instructions review the documentation that came with your equipment. When I order this product I always get several at a time. More times then not some leak into my tubing which of course is bad and cause bacteria, and the vent always sprays medicine in my face so then I turn it down and it then spray and leaks in my lap. It is time to move on to another. I do not recommend this product. Great Product and Great company, Direct Home Medical gets the order out fast. The function of aux vent is never explained ??? Works great with my nebulizer. Get full benefit of my meds. Much better then the ones from medicare. 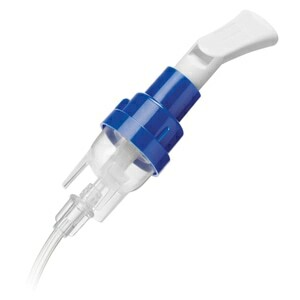 The SideStream Plus Reusable Nebulizer is simple enough to use, however the exhaust port on the mouthpiece gets stuck. When this happens (which is nearly all the time) it pops open and sprays particles of the solution into your face and eyes. In addition, when exhaling normally, the exhaust is so close to your eyes that it mandates you keep your eyes closed. Therefore, I am really not satisfied with the product. It is comfortable to hold but sputters. Who ever thought this would be a good product didn't use it. It leaks into the tubing and drips. Best price, prompt delivery, product as shown. Love my sidestream reusable nebulizers! The sidestream reusable nebulizer works great. I have been using disposible ones but they don't work very long or very well. I am very pleased with my purchase of the reusable nebulizer. No problems at all. Quick to receive them. Very happy with my purchase!!! !Thank you! This side stream nebulizer breathing attachment works as promised. It delivers the saline solution faster, more efficiently and seems to produce better results than my other attachments produce. There is much more mucous production to cough out, if you want the graphic information. I would purchase this again in the future, when this one is used up. WILL BE ORDERING AGAIN....THIS IS A GREAT COMPANY....GLAD I FOUND YOU ON THE INTERNET. Just in case, but mask works better on kids. 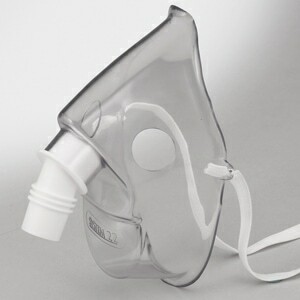 I am very pleased with side stream nebulizer - it is so easy to use. Also, the price is very reasonable. This item performs as described. Takes less time per treatment. This nebulizer takes a long time to deliver the medicine. I really like the product for fast delivery but it was supposed to last 6 months and of the 6 I ordered none have lasted longer than 3 months. It was very disappointing. I did order also the single use one and it lasted one month which makes it cheaper than the SideStreeam that was to last 6 months as advertised and did not deliver. very good,. best price I found on line fast shipping. We ordered five of these to try them and like them a lot. 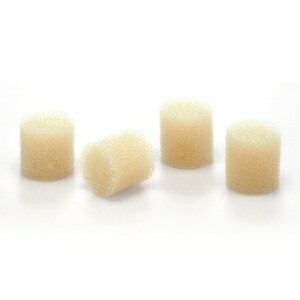 The medication seems to administer more quickly than with other units, and they're sturdy and easy to hold. I like this product for delivery of my nebulizer medication. This company responded quickly and I got my order fast and correctly. 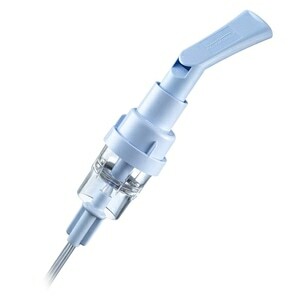 OF ALL THE VARIOUS REUSABLE NEBULIZER TREATMENT MOUTH PIECES, I FIND THE RESPIRONICS SIDE STREAM NEBULIZER TO DELIVER THE FULL IMPACT OF THE MEDICINE. THOSE THAT GIVE YOU THE FACE MASK OR OTHER MOUTH PIECES SEEM TO DISAPATE INTO THE AIR. THE RESPIRONICS IS THE MOST EFFICIENT. The product was described well, delivered on time and at a great price! Works very well, completely reusable and dispenses all of the medication efficiently. the service was excellent received order in timely manor as have been my past orders. My supplies arrived much quicker than expected and the order was accurate. Excellent service. Will use this company again. THESE ARE THE BEST, I WILL BUY MORE. Excellent price, product, & service from the company. I will use them again. I have had a compresser & sidestream nebulizer for 3 years. The medical supply I was using waould send me regular neb kits every time I called and asked for a sidestream neb kit. When I found them on this website, it was wonderful. they were shipped immediately and I recieved them within a couple of days. Thank you for your friendly, prompt service. A big thumbs up from me! This new medication delivery system is outstanding. It allows for a much deeper treatment due to breathing both in and out through the mouthpiece instead of breathing in through the mouthpiece and breathing out around it. I love it and will not go back to the older style. It is very easy to clean and use.